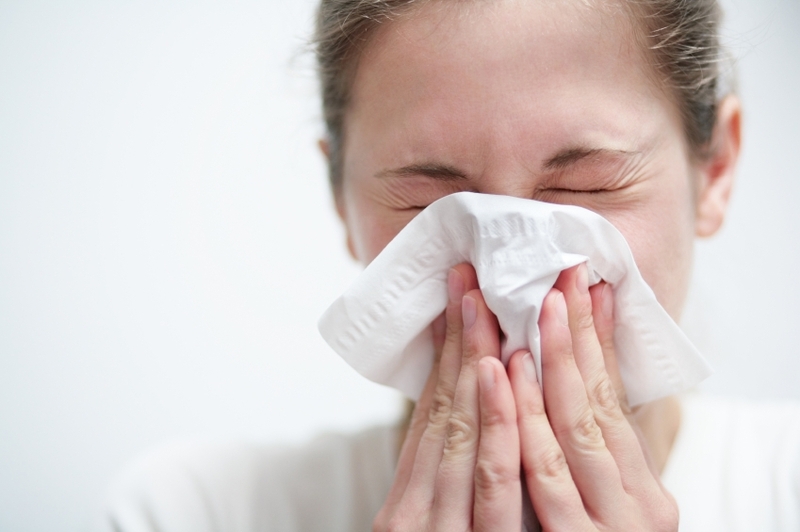 When you think about the air quality in your Longview, Texas home, do you think about seasonal allergies and dust? Indoor air quality (IAQ) threats are nothing to sneeze at, but keeping your indoor air clean goes a little deeper than dusty furniture. If improving hot and uncomfortable indoor air interests you, keep reading to find out how a whole-house dehumidifier improves your indoor air quality and boosts the comfort and health of household members. The hot stuffy air can mean misery for asthma and allergy sufferers as it makes breathing difficult. The excess moisture also provides the ideal conditions for mold and dust mites to thrive. Both affect IAQ but molds present special cause for concern. Molds can destroy structures and furnishings and seriously affect health. Energy consumption: The cost of cooling your home increases as the humidity increases. You naturally want to reduce the thermostat settings to compensate for the warmer air. Wear and tear: The increased demand on your cooling system during the hot, muggy months can take a toll on the unit. System performance: mold can also form within the HVAC unit, affecting the way it operates. In addition, as air is distributed through your home, the mold within the system can enter your indoor air. A whole-house dehumidifier helps to clean the air in your home. It draws warm air over a cold coil where it condenses. Dry, warmer air is then released by the dehumidifier. A whole-house dehumidifier maintains optimal levels — between 30 and 50 percent. Comparing portable dehumidifiers, whole-house dehumidifiers, and indoor air quality coverage is like comparing a ceiling fan to a central air conditioning heating system. They are two very different systems. Whole-house dehumidifiers help to remove excess moisture from the indoor air. As opposed to portable or tabletop dehumidifiers that serve one room or small spaces, whole-house dehumidifiers connect to your HVAC system to provide complete home coverage. With a whole-house model, there is the extra cost for professional installation. Considering the results of how whole-house dehumidifiers significantly improve indoor air quality it is a worthwhile investment especially if you have someone in the home who has serious respiratory problems. Moreover, whole-house dehumidification helps you feel much cooler, allowing you to increase the thermostat settings for nice energy savings. Before you purchase and install a whole-house dehumidifier, your HVAC professional should analyze your home and needs in order to choose the right and most effective system. Similar to the way a heating and cooling system must be sized correctly to meet the home’s heating and cooling load, a dehumidifier must be sized correctly for the right level of dehumidification. Your HVAC professional also takes into account HVAC add-on equipment and advanced features, such as a zoning system and variable-speed blower motor. Whole-house dehumidifiers work well with zoning systems and advanced AC or heat pump features. A heat pump with a variable-speed blower motor typically operates for longer cycles but at a reduced velocity. This allows better humidity control and air conditioning coverage through your home. Working together, both units greatly improve energy efficiency and comfort. Your HVAC technician doesn’t only help you to select the right unit. Just as you invest in regular maintenance to maximize the performance and life of your heating and cooling system, you will also need to have your dehumidifier maintained. For convenience, you should schedule dehumidifier maintenance along with AC maintenance. Your trusted technicians at JD’s A/C have many years of experience installing, servicing, repairing, and maintaining a variety of HVAC systems and related components. If you would like more information about whole-house dehumidifiers and what they can do for your home and indoor air quality, please contact JD’s A/C today at 903-374-4012 to speak with a member of our knowledgeable staff. Why It’s Necessary to Upgrade an Old ACThere’s Frost on My Heat Pump! What Does That Mean?